The arrival of hydrogen cars on UK roads is a step closer today as the Business Minister Matthew Hancock announced up to £11 million of funding. Government and industry will prepare the UK for the roll-out of hydrogen fuel cell electric vehicles (FCEVs). It is just one of the ways that government plans to decarbonise road transport alongside battery electric vehicles (EVs) and plug-in hybrids with £400 million of support available in the current Parliament and £500 million committed in the next. Britain has become one of the best places in the world to build cars, with the value of those we export outstripping imports for the first time in a generation, but we want to go further. Hydrogen cars present us with a huge economic opportunity and can bolster our internationally renowned automotive industry. We want to make the UK one of the best places in the world to design, manufacture and sell ultra-low emission vehicles. Government will work in true partnership with industry so the potential benefits are realised by businesses and consumers across the UK. By 2040 all new cars and vans will be ultra-low emission vehicles and this could be delivered by a variety of technologies, including plug-in hybrids, pure EVs and hydrogen. We want to ensure that support is there for all of these vehicles and that the UK continues to lead the pack in providing the right infrastructure to drive the switch to electric. The UK H2Mobility project was established to evaluate the benefits of hydrogen fuel cell electric vehicles (FCEVs) to the UK and to develop a roadmap for the introduction of fuel cell vehicles and hydrogen refuelling infrastructure. 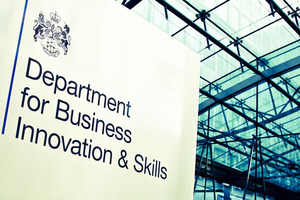 There are currently 12 industry participants (below) in UK H2Mobility together with 3 UK government departments – the Department for Business, Innovation and Skills, the Department for Transport and the Department for Energy and Climate Change – and Transport Scotland, Welsh Government and the Greater London Authority. The European Fuel Cells & Hydrogen Joint Undertaking is also a participant. Hydrogen fuel cell electric vehicles share a large proportion of the electric motor and drive train technology with other electric and plug-in hybrid vehicles; it is the energy storage/conversion devices that are different. The fuel cell is an electrochemical device that can be refuelled quickly – it will continue to generate power so long as it is fed with hydrogen and fuel cell vehicles have a similar range to their internal combustion engine equivalents. They are highly efficient devices (50-60% compared to an average of around 20% for internal combustion engines) that produce no emissions or pollutants at the tail-pipe and much reduced overall well-to-wheel emissions when compared with today’s petrol and diesel engines. Hydrogen is a clean energy carrier. When used as fuel in fuel cell systems it does not produce any carbon emissions (carbon monoxide, carbon dioxide, unburned hydrocarbons or particulates). Therefore, using hydrogen will contribute to the improvement of air quality and the reduction of CO2.